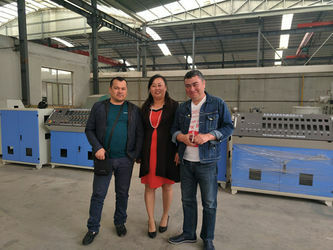 QINGDAO AORUI Plastic Machinery Co,ltd located in Jiaozhou, Qingdao,it about 30 minutes by car from Qingdao airport.Many highways accross jiaozhou city. QINGDAO AORUI Plastic Machinery Co,ltd specialized in plastic extrusion equipment,plastic auxiliary,plastic mold , and it is a high-tech enterprises for scientific research ,development , maufacturing ,sales and service.Have strong technical force , perfect detection measure, experienced technician and skilled workers , they have rich experiences and acquaintance about plastic craft , formula and plastic machinery, to ensure the plastic machinery have high quality and high performance. 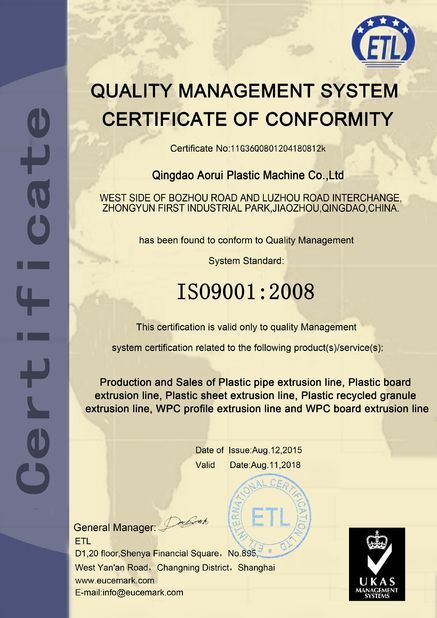 Our products ahve exproted to US , France , Chile,Russia,India , Humgary , Thailand , Saudi Arabia, Iran , South Africa , Kenya ,Brazil ,Argentina , Azerbaijan etc.QINGDAO AORUI Plastic Machinery Co,ltd mainly including pipe , sheet , board , profile , granulator , crusher and so on , more than 20 series and more than 100 varieties. The main products: PVC imitation marble plate production line, pvc stone production line , pvc stone decorative plate production line , pvc imitation marble production line. 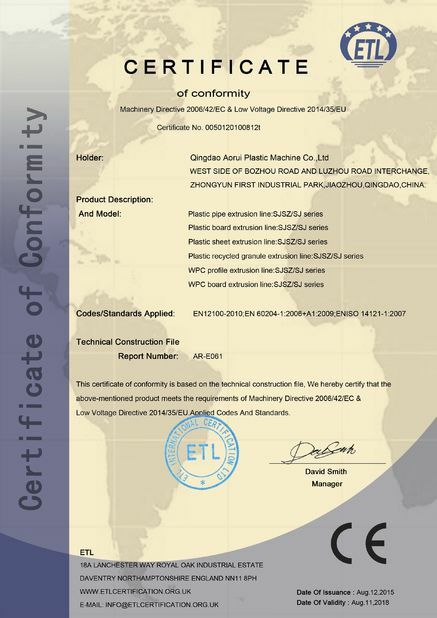 2009---We estabilshed Qingdao Aorui Plastic Machienry Co.,ltd. Strated to produce various kinds of Plastic Machinery. 2010--- We exported three sets of Plastic Pipe Production Lines to France. 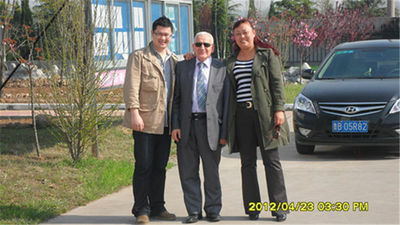 2011--- We exported Three pipe production lines to Algeria, and exported Two Plastic Profile Machinery to Canada. 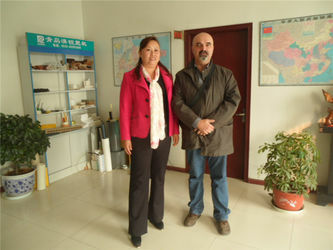 2012--- Many customer from all over the world to visit our factory. 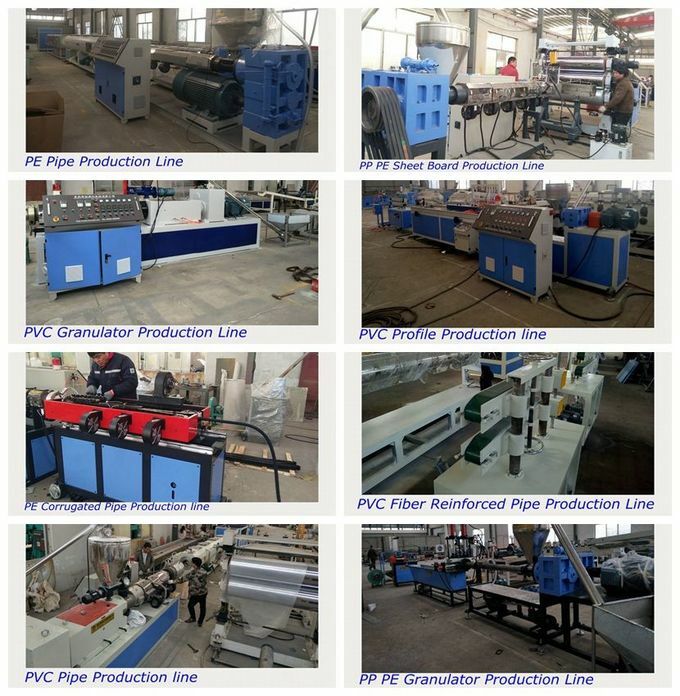 2013--- We exported Six Sets of plastic machinery to France, Turkey, South Africa etc. 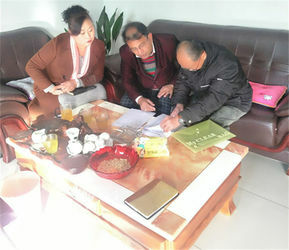 2014--- We expand our factory due to the expand of the markets. 2015--- Our Plasatic Machinery are widely sold in domestic market and foreign market. 2016--- We exported Fives production line to Australia and Uzbekistan. 2017--- We exported many auxiliay machines to Belgium, and exported one set of PE Pipe Machinery to Vietnam. 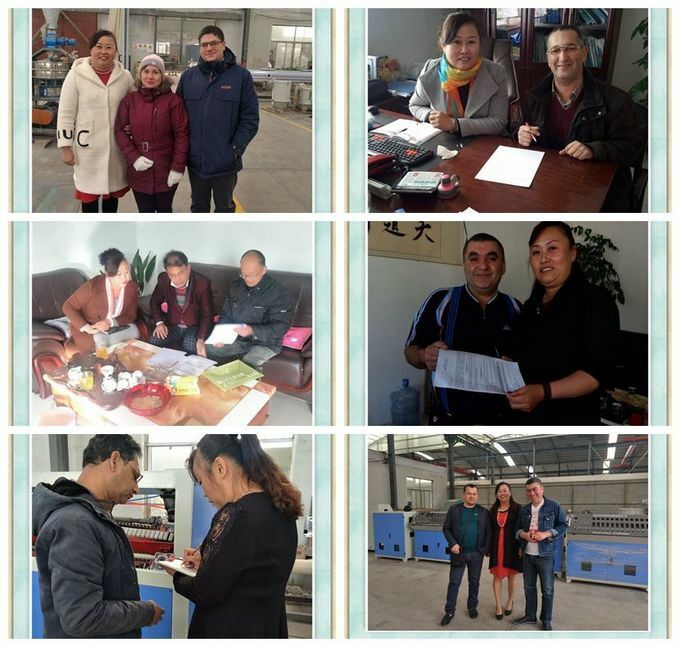 2018--- Welcome customer from all oer the world to visit our factory and visit our machinery. 1. 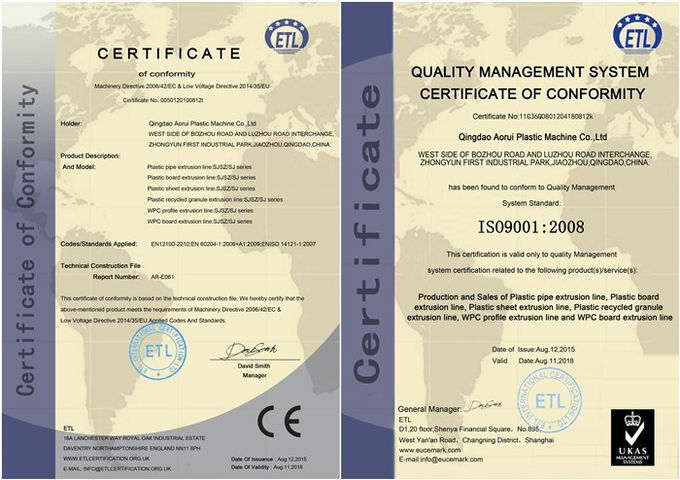 "Clients first and good quality" is our first principle , we have more than 15 years experiences in manufacturer plastic machinery . * Equipment pre-commissioning& testing support. * Machinery warranty time is 12 months starting from the date of Bill of Lading. Electric and electronic parts excluded. 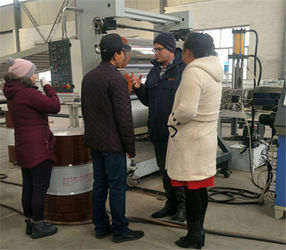 * Training how to install the machine and how to use the machine. 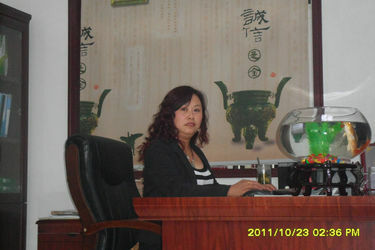 Technical R & D personnel, Foreign trade staff, Domestic sales staff, After-service staff, workshop staff.